The 2015 Paris Agreement had 194 countries make a commitment to drastically reduce greenhouse gas emissions to limit global warming to 1.5 degrees. While most countries have signed and ratified and all multilateral development banks have recognized the Paris Agreement, the emissions continue to increase. This means that regardless of the rhetoric and policy commitments of nation states, the financing of energy operations and projects are still not aligned with the climate goals. This 2017 the ADB in its 50th anniversary is hosting yet another ACEF, and NGO Forum on ADB is calling on the Bank to live up to its rhetoric and help countries deliver their climate goals as per the Paris Agreement.ADBs track record on energy investment is dirty. From 2007-2014 ADB invested in over 3 billion$ in coal projects. From 1994-2012 the Natural Defense Council found that ADB was the third largest financier of coal fired power plants, investing 3.9 billion dollars in 21 projects. Some of these coal projects have led to severe environmental and social damage such as: 120 million dollar Naga Coal Fired Power Plant, Visayas, Philippines; 2013 the ADB approved 900 million dollar Jamshoro coal fired power plant in Sindh, Pakistan; and ADBs 450 million dollar Tata Mundra Ultra Mega Coal plant in Gujarat, India. All of these projects have led to severe ecological harm, loss of livelihood, displacement, air and water pollution and health hazards.We call on the ADB in its 50th year to recognize the historical harm (legacy harm) which, it’s projects have done to the environment and continue to do (Naga Coal Plant, Tata Mundra etc.) and immediately take the necessary measures to mitigate the environmental and social damages and stop all project operations.In the name of ‘clean energy’ the ADB continues to finance retrofitting old coal plants under the guise of ‘clean coal technology’. Within the CCT frame the ADB continues to support coal through, liquefaction technologies in Mongolia, integrated gasification in China without affecting meaningful reduction in emissions. NGO Forum on ADB urgently calls on ADB to not finance any form of Fossil Fuel energy project under the banner of Clean Energy. 50 years is enough! The ADB has to own up to its actions and stop playing around with words in order to push their dirty energy agenda. We further call on the ADB to provide a clear plan of action on transitioning from Fossil Fuel energy to fully renewable energy investments. The transition from Fossil Fuel to RE should have clear indicators and targets which should be in line with countries and their respective NDCs (Nationally Determined Contributions) as per the Paris Agreement. Furthermore, with growing competitiveness and advancement in the Renewable Energy market, we urge ADB to define Renewable energy to only constitute wind and solar energy sources. Renewable Energy investments should NOT include hydropower dams, as there is scientific proof of their emissions of methane contributing to climate change and adverse social, and environmental impacts. Finally on the issue of coal financing, the World Bank, EBRD, AfDB and AIIB have all indicated that they will not support coal aside exceptional circumstances, this rhetoric is similar to the ADB, and we know this still leaves the door open for further investment in coal projects. 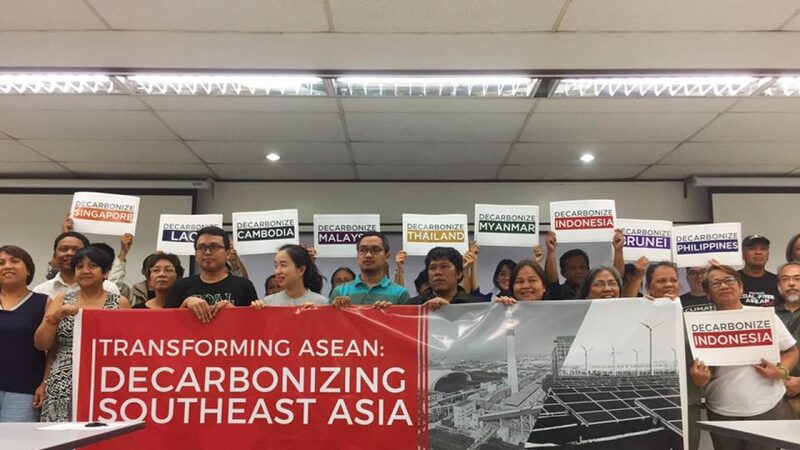 We urge ADB in its 50th year to take leadership from among all MDBs and issue an immediate ban on all forms of coal power projects in this year’s ACEF.